Push notifications are the mobile alerts or message that pops up on a mobile device. App publishers can send them at any time and the users who have the app installed on their devices will receive them. Examples of push notifications,latestsports scores, flash sale, coupons, news, etc. Driving users to other marketing channels, such as social networks. You can send push notifications through Android apps as well as iOS apps. Push notifications through Android apps are automatically sent but for iOS apps, you are required to enable them. You have built an app with the required details with the app installed in at least one device and an entry about that device is in the entity Mobile Users with a GCM ID on the record, follow these steps to send push notifications. 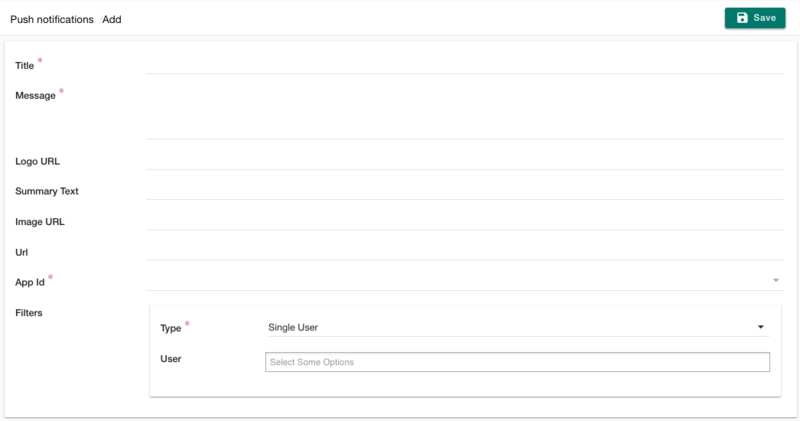 Go to Mobile Apps > Push Notifications in the StoreHippo Admin Panel. Enter the title of the notification. This field is not visible on iOS phones and tablets. Enter the text for notification. This field is visible on Android as well as on IOS Platform. Enter the URL of the notification icon. It is visible only on Android. The text will be shown with the picture message instead of the entire message when the notification is not collapsed. When collapsed, the entire message is shown. This is also only visible on Android. 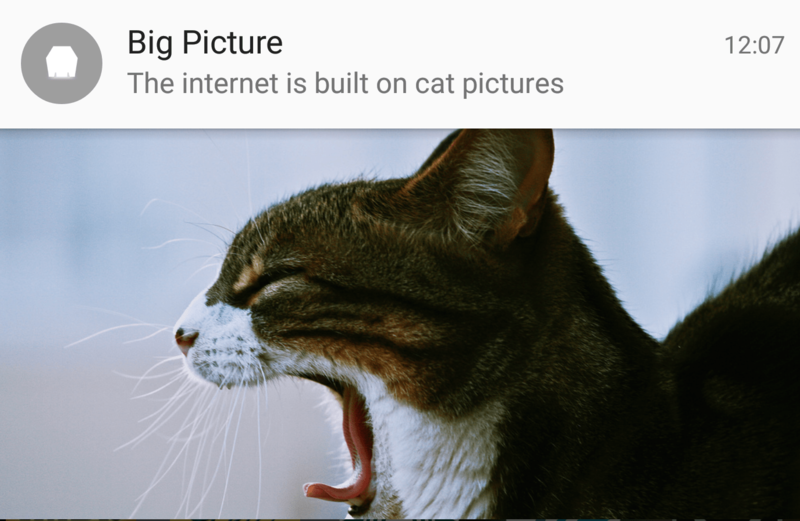 To include a large picture in the notification that you are sending to your users. Enter the URL on which the user is redirected when he clicks on the Notification. This is visible both on Android as well as IOS. Choose the app on which the notifications are to be sent. Every app has a unique App id. UUID: List of the UUID of the users to which the notifications would be sent. Single User: List of users to which the notifications would be sent. This field is used when the selected users are logged in the mobile app. Customer Group: Users belonging to the selected user groups will receive the notifications. This field is also used when the selected users are logged in the mobile app. All: All the users who have installed the app and has currently installed the app will receive the notification. After filling the details click on the Save button to save your message. When you add a push notification, your message is shown in the list of Push messages. Your sent notifications are shown in Push History with all the essential details.